Dr Schutz PU Sealer provides a P4 slip resistance and creates a very hard wearing floor surface, resistant to scratches and friction. It makes floors resistant to chemicals and plasticizers and is economical and eco-friendly. It improves the overall appearance of the floor surface and is proven to extend the life time of the floor. It's a cost effective alternative to replacing floors. This sealer is the ideal floor safety solution for vinyl, linoleum, rubber, epoxy, and timber floors. 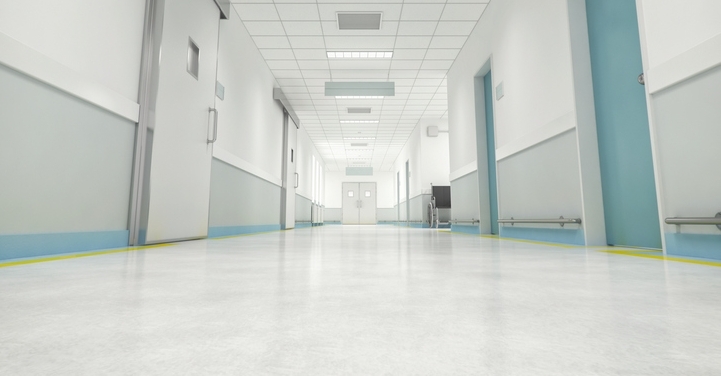 The sealer creates a safe pedestrian environment as well as providing an attractive, hygienic, and easily maintainable floors. - Have the hygenic properties you require? - Look tired and old due to wear and tear? pH level (cross linker): n.a. Data on ingredients (EC recommendations): Polymeric material, levelling agents, film-forming agents, additives. Store Dr Schutz PU Sealer in a dry place in its closed original container at temperatures of between 5°C and 30°C. Keep locked up and out of the reach of children. The cross linker must not be allowed to come into contact with moisture. Once broken into, re-seal the canister again tightly immediately after removing amounts of the product and use up remaining quantities as quickly as possible. The cross linker is subject to the legal stipulations of the Dangerous Goods Act and is marked with the hazard symbol "Xi" and the hazard definitions "Sensitisation possible as a result of skin contact. Harmful for water organisms, can have longer-term harmful effects if permitted to pollute open waters." Cast floors based on epoxy and polyurethane. Wood and cork floors after priming with strato classic prime 200.